Any payment above R500 paid by direct deposit has to reflect in our account before we release the order. This may affect the delivery date. Even though our florists and hamper team select only the freshest flowers and edible items available, please note that delivered floral products, as well as all other products, may vary slightly in appearance when compared to images on the website. This is due to the nature of the product, with factors such as non-availability of certain products being taken into account. That being said, we take great care in ensuring that all food stuffs, flowers, greenery, fillers, containers and accessories are substituted with equal or greater value and look as similar as possible to the product displayed on the website. Our deliveries will take place from 7am until 7pm from Monday to Friday, from 8am until 4pm on Saturdays and from 9am until 2pm on Sundays. We will, however, try our best to prioritise business deliveries according to standard business hours. If you're a procrastinator and your order is placed for delivery on the same day after 12pm, delivery will take place between 13:00 and 19:00. To ensure all our deliveries are made on time, our drivers are only able to wait for a recipient for a limited amount of time. The premium delivery slot only applies to the first delivery attempt. If for whatever reason the recipient is unavailable, normal re-delivery procedures will apply. All NetFlorist hubs will be closed from Friday 19 April to Monday 22 April. No deliveries will take place on 19, 20, 21, or 22 April. The call centre will also be closed on these dates. 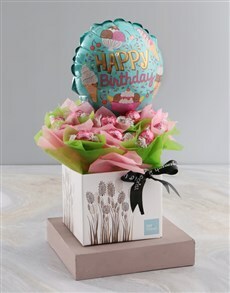 The contents of NetFlorist, including any material, information, data, software, icons, text, graphics, lay-outs, images, sound clips, advertisements, video clips, trade names, logos, trade-marks, designs and service marks which are displayed on or incorporated in the website are protected by law, including but not limited to copyright and trade mark law. The wesbite content is the property of NetFlorist, its advertisers and/or sponsors and/or is licensed to NetFlorist. Only one voucher per customer per user profile. Minimum spend of R200 required. Voucher is valid for 2 weeks only. Voucher is valid for first-time users only. Minimum spend of R350 applies. Valid for one purchase session, only one redeemable person, per transaction. Voucher not redeemable on any other promotions. Changes can be made at zero cost prior to personalisation production being completed. If changes are requested after personalisation production has been completed, you will be charged a 50% change/cancellation fee. If the customer has incorrectly entered the personalisation, NetFlorist will charge 50% reproduction charge to produce a replacement. Cancellation of engraved, laser-cut or print made to order items that have already been sent for production: In the event that the production has already been completed, you will only be offered a 50% refund. NetFlorist will charge 50% reproduction charge to produce a replacement. Smart shopper points cannot be earned on corporate orders. For t's and c's on our loyalty program, click here. The prize is valued at R7,000. A bouquet of flowers will be delivered monthly to the value of R500 (excluding delivery of R79,95). The prize can’t be substituted for non-floral items. View the full T's and C's here. Voucher value is a discount of 20%. Voucher will expire on 31 December 2019. Voucher is valid for one purchase session only. Only one voucher may be redeemed per person, per transaction. 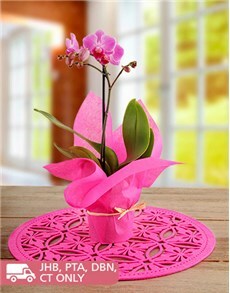 Voucher may not be used to purchase experiences and can only be redeemed online at www.netflorist.co.za. Promotion is only available for products in the Mother’s Day range. Free Lindt is only valid for gifts ordered before the 9th of May. 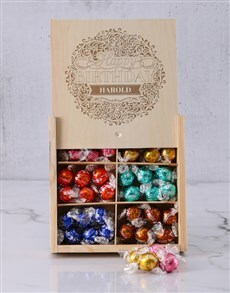 Free Lindt is only available for gifts that will be delivered between the 9th and 12th of May. Promotion only valid for delivery in JHB, PTA, CPT, and DBN. Minimum spend of R300 applies. Minimum spend excludes delivery fee.